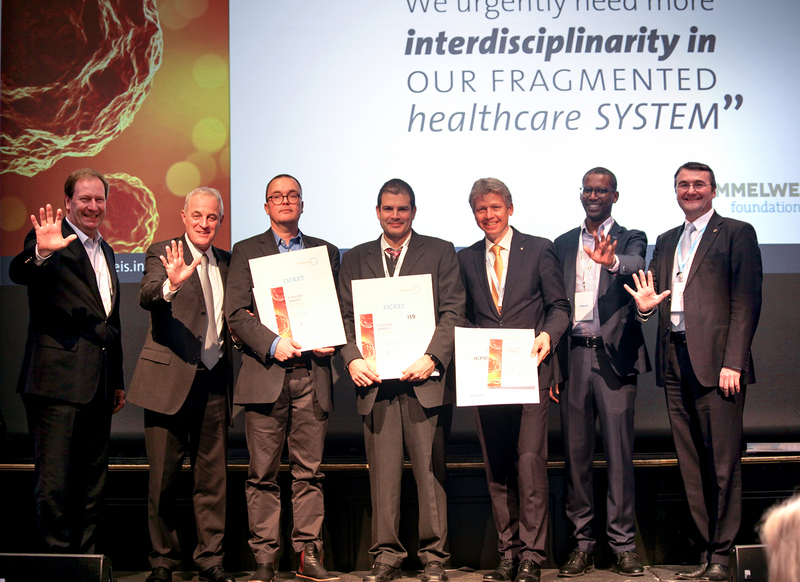 From left to right: Bernhard Kueenburg (President of the Semmelweis Foundation), Didier Pittet (WHO), Patrick Braß (3rd place), Georg Duscher (1st place), Clemens Bulitta (2nd place), Mohamed Abbas (head of jury) and Samo Kotnik (Ecolab). We would like to thank all participants of the Abstract Submission for their contribution. We congratulate the 10 best authors on their abstracts!